How Far is Vrindavan Bliss? 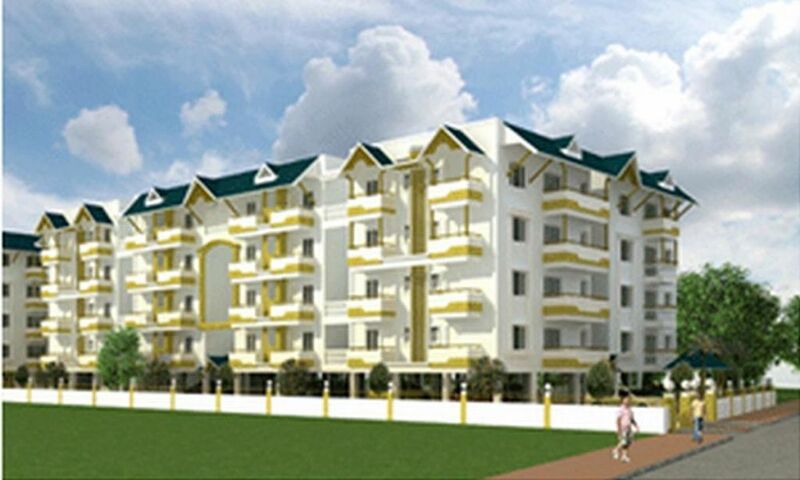 Vrindavan Bliss is the latest project from Vrindavan Shelters. Designed by Motiffs Architects, Vrindavan Bliss brings sixty four aesthetically designed, Vastu compliant flats which are not only visually stunning, they seamlessly gel with the serene greenery around. 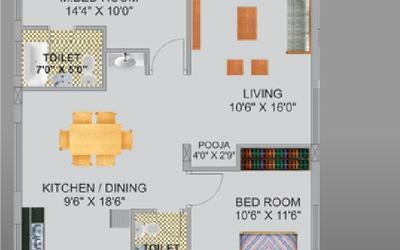 Layout of each flat has been driven by the consideration of free flow ventilation, natural light and optimum utilization of space. Innovative design allows view of swimming pool and children’s play area as well as the open expanse of the nature from the elegant lobby on each floor to create an environ of ecstasy and euphoria. Vrindavan Bliss is strategically located at Rajanukunte, off Doddaballapur Road between upcoming peripheral ring road and 12 lane IVC road. The area is booming with activities due to proximity to Bengaluru International Airport and excellent road network to the City, coupled with proposal to develop Yelahanka as a major railway station. Vrindavan Bliss is first such project in this area near to Bengaluru International Airport which brings you an investment opportunity at a price you have been looking for. Vitrified tiles in all rooms. Antiskid flooring in balconies, bathrooms and utility areas. Ceramic glazed tile dado upto 7’ height and premium quality fittings in bathrooms. Weatherproof emulsion paint on exterior surface. Acrylic emulsion paint on inner walls. Teakwood main door frame and shutter with natural polish. Water proof doors for bathrooms, utility and balconies. Wooden frame and flush doors for bedrooms. Aluminium sliding windows. Premium quality electrical fittings and fire resistant concealed wiring. 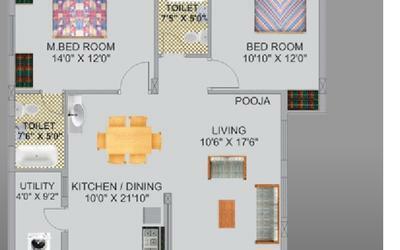 Television points in the living room and bedrooms. Telephone point in the living room. Power points in bed rooms for AC.